“My earliest childhood memories involve family, friends, and watching television shows. The 1960s were the tail end of the “golden age” of television—The Andy Griffith Show, I Love Lucy, and Bonanza. But no show grabbed my interest and affection more than The Adventures of Superman. It was already in reruns by the time I watched it, but it completely captivated me. Here was a man—no mere mortal—who dedicated his life to keeping the world safe from harm. Yet he still had time to save a kitten from a tree and watch over his love interest, Lois Lane. His only weakness was kryptonite. What a rich fantasy for a young child. I used to run around the neighborhood wearing my winter boots with a towel draped around my neck as a cape. I am grateful cellphones weren’t around then as I would hate to see this posted on YouTube or Facebook. I believed Superman was faster than a speeding bullet. I believed he was more powerful than a locomotive and that he was able to leap tall buildings in a single bound. I believed in his fight for Truth and Justice. Now that I’ve navigated adulthood and experienced life’s highs and lows, thrills and disappointments, it is abundantly clear this Superman is a fantasy. Life’s real superheroes aren’t strangers from another planet. They are not more powerful than a locomotive. And bullets don’t bounce off their chests. Every day, I meet extraordinary “ordinary” Bulgarians. 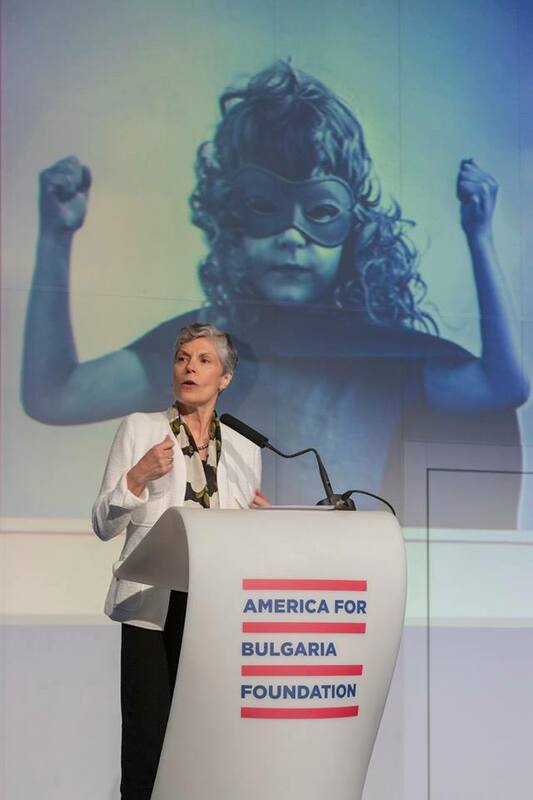 They don’t think of themselves as superheroes, but the America for Bulgaria Foundation does. And superheroes are all around us—especially today as we celebrate Everyday Superheroes. It shouldn’t be a surprise that YOU are the superheroes. You fight for truth, you fight for justice, and you are endowed with a superpower—your vision to make Bulgaria a better place for all its citizens. 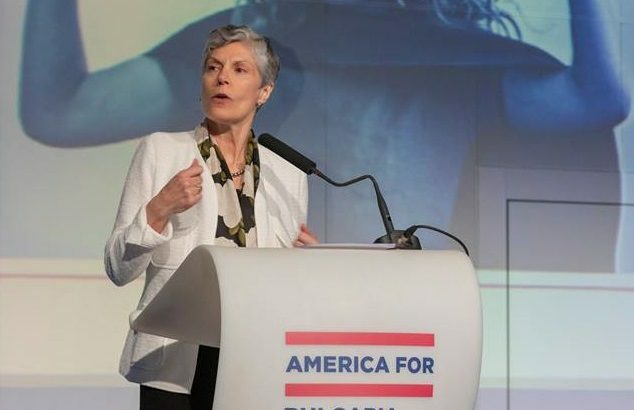 Superheroes like Svetla Kostadinova from the Institute for Market Economics, who works to make government spending more efficient; to improve the business environment for small and medium-sized companies; and to allow increased prosperity through labor mobility. These initiatives level the playing field for all Bulgarians. Svetla doesn’t rescue kittens from trees, but through IME she overcomes many obstacles to make Bulgaria a better place to work and live. Andrey Chalukov of the Beef Breeders Association introduced a sophisticated digital system for measuring and storing genetics for the country’s beef breeders, helping them reach their potential as a vibrant export industry. While he didn’t leap a tall building in a single bound, Andrey’s willingness to take a technological leap proves that any Bulgarian industry can progress and thrive. Andrey’s efforts enable and improve the business environment for this important industry. Rashka Gaitanova from the Roma neighborhood in Velingrad finished her studies at the Medical University in Sofia. Rashka is now a resident hoping to become her hometown’s first doctor’s assistant of Roma origin. Developing and retaining human capital is a key factor to build Bulgaria’s future. While Rashka didn’t stop a speeding bullet, her education will allow her to assist those in need of medical care. Emilia Dimitrova-Dankova is a journalist, editor-in-chief of Sevlievo Online, and a contributor to Za istinata, a regional journalism platform. Emilia dared to probe into entangled local interests and, as a result, was taken to court by the director of the Social Welfare Directorate of Gabrovo Municipality. Emilia eventually won with the help of Access to Information lawyer Alexander Kashumov. Emilia may not be Clark Kent, but her reporting is an example of the importance of independent media to hold government officials to account for their actions. Rosen Georgiev is the mayor of the village of Dabrava. In 2015, Dabrava had only 100 residents. It was on the verge of being classified as a disappearing village. Rosen thought otherwise. Four years ago, he founded the Brava Balkan Fest, a rock music festival, attracting musicians from the Balkan region. While Rosen may not have X-ray vision, his vision goes beyond creating a platform for rock music. His idea was to transform Dabrava into an attractive place for tourists from all over the world. The village has dramatically changed in just a few years. Today, more than 300 people make it their permanent home, and on weekends, the number of residents blossoms to 600, making Dabrava an example of a vibrant community. Today you’ll hear from a dozen or so superheroes who will tell their stories. But any one of you could be on this stage. Every day you make a difference for Bulgaria by acting on your superpower—your creative problem solving, your community leadership, your initiative, your persistence. But before that, let’s talk about what can hold us back. Kryptonite was the only threat Superman couldn’t overcome. We mortals have our own forms of kryptonite: lack of collaboration, lack of trust, inability or unwillingness to adapt to changing circumstances. To be relevant, we must adapt. As ABF celebrates its tenth year, we acknowledge that much has changed in Bulgaria. It is not the same country it was in 2009. There have been many successes and many disappointments. Challenges do remain, but some are different than those faced in previous years. Our mission continues to focus on advancing Bulgaria’s private sector. As we adapt to changes in the economic and demographic environment, we approach our mission differently. Throughout the day, the ABF program team will take you through each of our updated areas of interest to explain why we are taking this necessary step. They will provide details of some of our new initiatives and how these fit into the strategy. I know that change puts you off balance. It takes us out of our comfort zone. But change leads to growth and new opportunities and new ways to impact Bulgaria. We have allocated time toward the end of the forum to answer questions, and the ABF team will be here all day. You are going to hear a lot of stories, but the most important thing for you to remember is that you have the power. You have the superpower to make a difference in your village, town, city, and country. ABF will be here as you continue to make a difference for Bulgaria. We will be here as you fight for Truth, Justice, and the Bulgarian way.